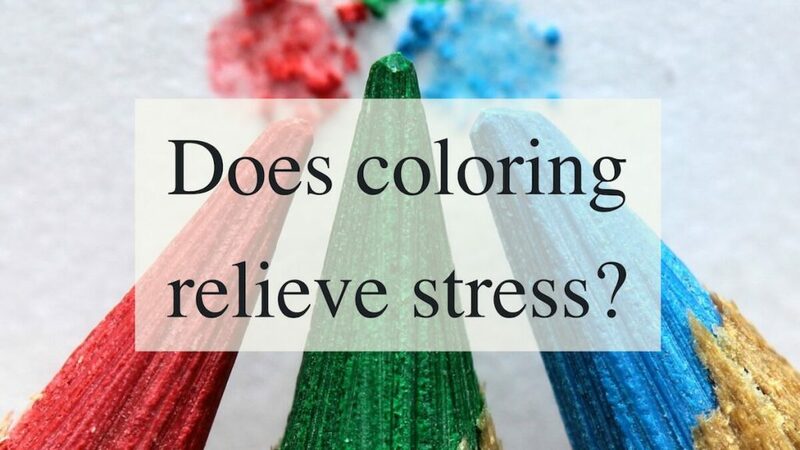 Does Coloring REALLY Relieve Stress? Home » Does Coloring REALLY Relieve Stress? Many people wonder if coloring reduces stress? This is a valid question and often comes from the skeptics who haven’t tried it yet. If you have tried coloring in a regular adult coloring book or a coloring book for stress reduction, then you probably already know the answer! Many people feel the stress melt away when coloring intricate coloring pages designed for adults. However, what do the professional psychologists and psychiatrists have to say about it? Coloring has a long history of the stress relieving properties. It has long been known to help relieve stress; In fact, over a century ago, Carl Jung was prescribing it for his patients as part of his psychology practice. For many years we forgot about the benefits of coloring, but in more recent years the practice of coloring has gone from being something babysitters do with the kids they are watching, to something that many adults do as therapy. But how does coloring help with stress? We know that it works to suppress stress-related hormones and decrease brain activity in areas associated with stress and fight-or-flight while increasing brain activity in the regions related to logic and creativity. The most important thing, though, is that it does work. For example, coloring is sometimes used to help cancer patients. In one study, in particular, patients who colored reported a notable increase in comfort and feelings of well-being after just one hour of coloring. Coloring helps patients handle the discomfort of treatment and the mental stress of a diagnosis. Other studies have connected mindfulness practices and lower stress with better outcomes in cases of complex illnesses. Coloring has also been used by many mental health practitioners with great success. Since coloring books help patients reduce stress and calm down, they are a great addition to any therapist’s office, where conversations with patients may be emotionally charged. They can help patients remain calm and present in the conversation, even if the topic is a difficult one to discuss. 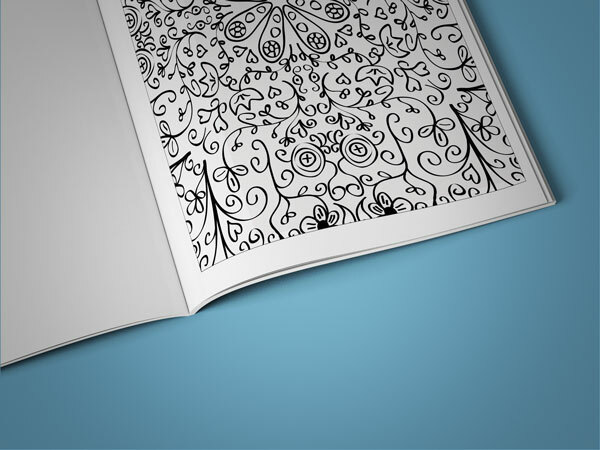 In fact, many businesses have also begun to discover the benefits of using coloring books in meetings. It can be tough for people to focus during meetings, especially employees who are very creative and intuitive. Coloring books can help such people focus on what is being discussed by giving them something to do with their hands. However, you don’t need to be in a job to enjoy coloring. Many retired individuals absolutely love their senior citizen coloring books! Just as the adult coloring phenomena took charge, so did the senior coloring phenomena take charge. Art therapy is something that has been used for a long time for therapy since it helps people express themselves when they have a hard time working through their feelings thoroughly. However, many people don’t feel that they are particularly artistic. It can be very intimidating looking at a blank piece of paper and being expected to draw something that expresses your feelings. For people who aren’t confident in their artistic abilities, this can itself be a cause of stress, which makes art therapy inaccessible to some of the people who need it the most. What you must realize is you don’t need to take any special art classes to enjoy coloring, nor do you need to know color theory when enjoying an adult coloring book. You just simply color! Coloring helps to bridge this gap. You don’t have to come up with a picture yourself; you just have to fill in spaces with colors you choose. You don’t have to worry about whether you are a bad artist, or whether your picture is going to look ugly (not that these things matter in art therapy anyway, but they are issues that often concern people). You get to enjoy yourself, relax, play with lovely colors, and end up with a gorgeous picture regardless of your personal artistic abilities. 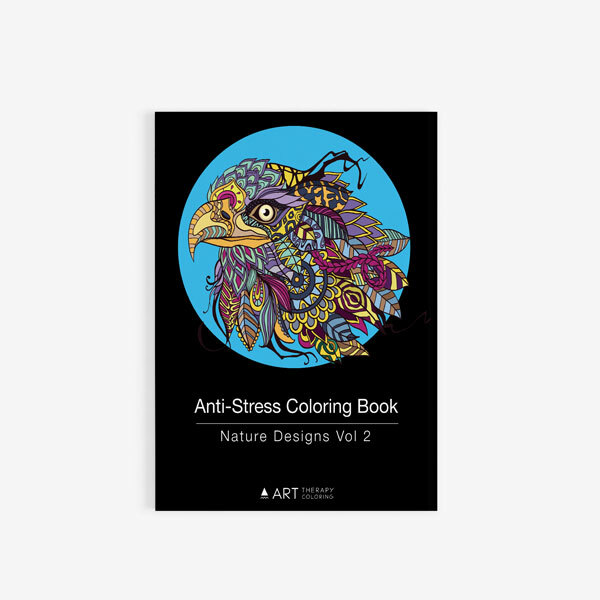 Adult coloring books from Art Therapy Coloring – The ultimate stress reliever! If you are looking for top quality adult coloring books, you have come to the right place at Art Therapy Coloring! We provide beautiful coloring books in a wide variety of styles and ability levels to satisfy every sort of colorist. Our books are printed on thick paper with only one picture per page so that you do not even need to worry about ink bleeding through if you choose to use pens or markers. Order yours today and start enjoying the benefits of coloring right away!